What a great way to stay active and healthy this winter! 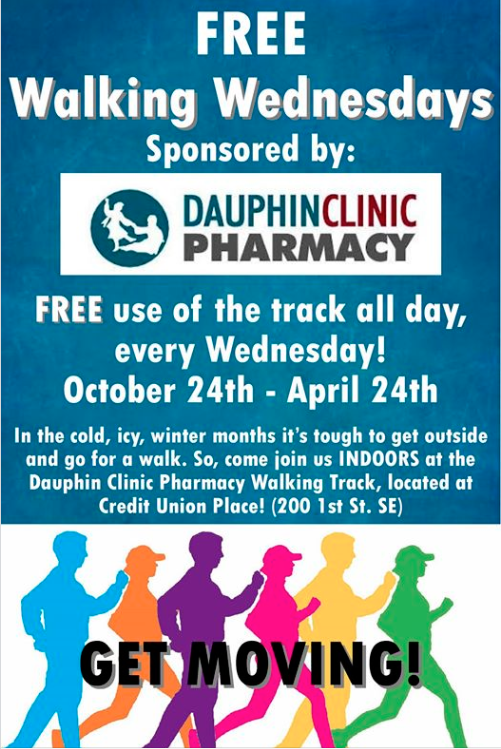 DCP is sponsoring FREE walking Wednesdays at the indoor track at Credit Union Place starting October 24th. You can avoid the wind, snow and ice during the winter months and take advantage of free walking Wednesdays.Excersize is good for the mind and soul.